Understanding the basics of food styling is pivotal for photographers looking to create stunning food imagery. 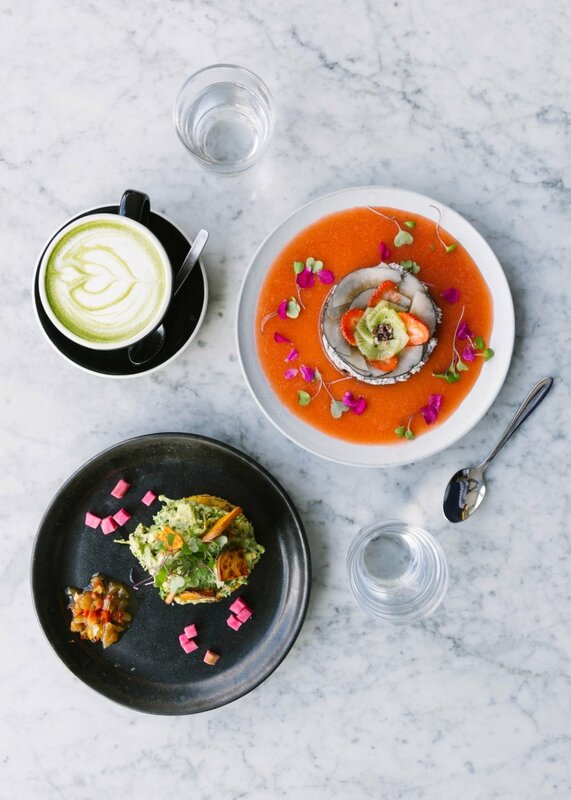 Shutterstock Custom client's work with our contributors to create beautiful content that’s a perfect fit for their social channels, so every image needs to look absolutely delicious. We’re sharing 10 of our top tips for styling food that you can use on your next food assignment with us, filled with tips on how to make food look beautiful when you are on shoot. 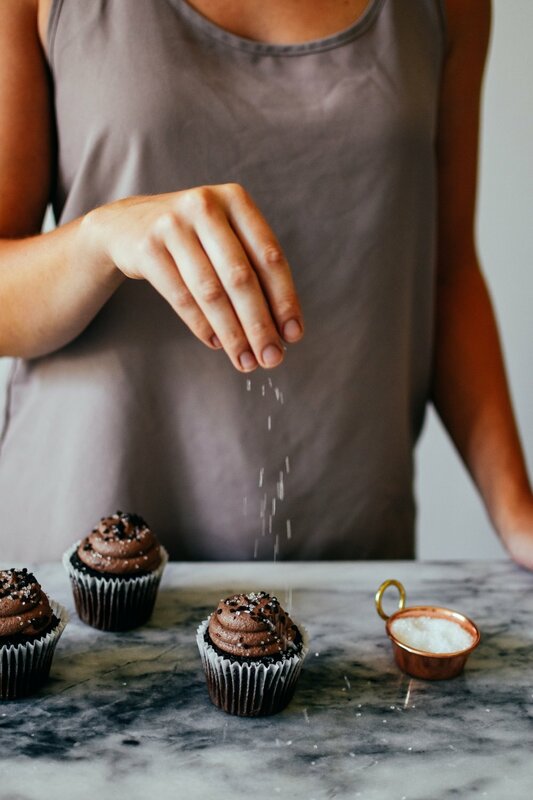 From plating the food to the props you should use, reference this guide while you are shooting your next Shutterstock Custom assignment. While having generous portions is lovely when you are eating the food, when you are shooting the food- keep the portions small. You should use the white space on the edges of the dish to highlight the food item. Don’t let the food overpower the full frame, or it risks being overwhelming for your audience. In order to have good food shots, it’s pivotal that you have great lighting. Natural light works best as it limits the shadows you create. Try to set up your shot next to a large window or door to let in the most amount of light possible. The actual dish that you use makes a huge impact on how good the photograph turns out, so always consider it as a part of the shoot. If your shooting on a plain white plate, consider adding a sprinkle of herbs to add color to the shoot. Place a fork on top of the plate to add a bit of diversity into the frame, and change up the shape. 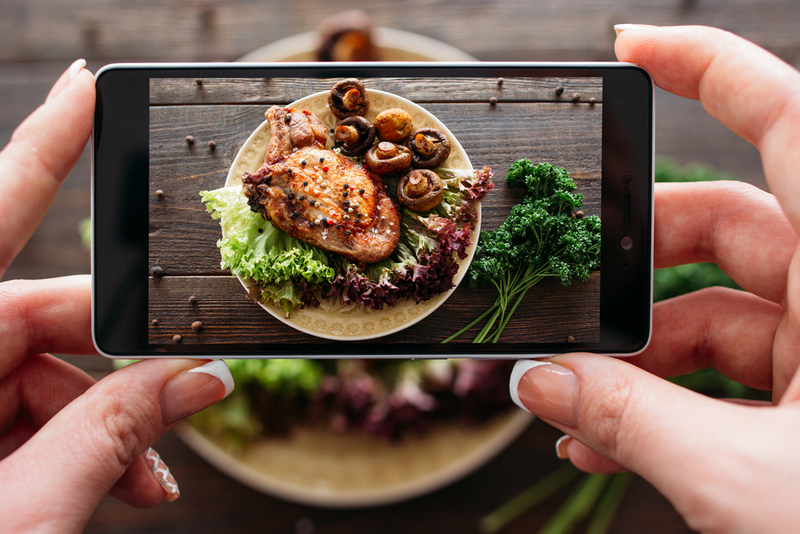 When you are photographing food, think of the angle you are shooting at before you start shooting. If you are shooting top down, ensure all of the food is visible and sharp to the frame. If you are shooting from the side, position the food so the dark parts of the food is positioned to where you are getting the most light, and focus on the front of the dish. The rest of the frame should be balanced in the back of the frame, with the food as the focus. 5. When you are shooting food, be quick! 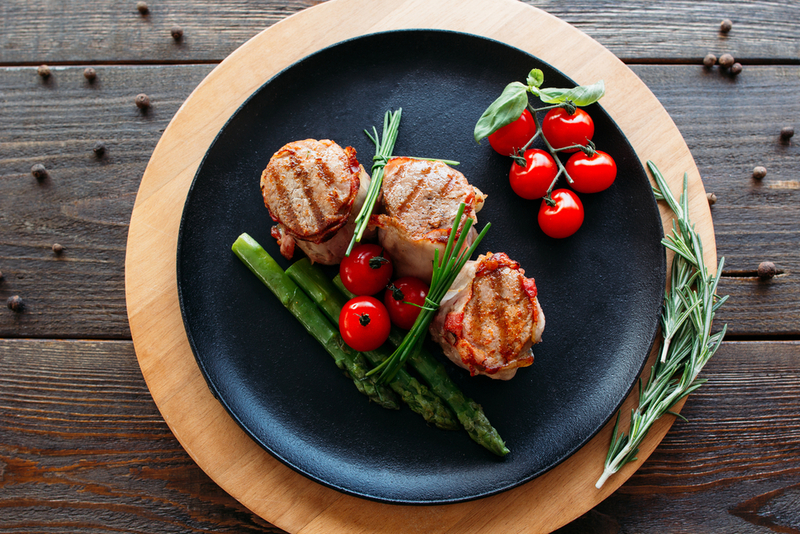 Unless your food is set-up and styled to be shot over a long period of time with styling tools, the longer the food sits on the plate, the less appetizing it will look. Try to take your shots as quickly as possible to get the food looking it’s best. The dish should look beautiful to be photographed, but it should also look real and authentic. Have a bit of mess! Artful placement of a slice removed ever so slightly, or a bit of crumbs to the side give the photograph a realistic approach. Give the food a bit of life by giving it a story. Keep your props, colors, plates, and serving sizes consistent to the atmosphere of the dish. If your shooting in a restaurant, make it look like a beautiful version of what could have come out of the back. If your shooting food at home, think of the theme before you start propping. The surfaces you shoot on should reflect the qualities of the dish. Play with the backgrounds to see which colors and textures showcase the dish you are shooting best. Some of our favorites? Marble, slate or wood. Marcella DiLonardo, the amazing blogger and photographer behind Hey Modest Marce shared some of her styling tips on this blog post for inspiration. Utilize props and/or hands to allow for scale in the food photograph. Sometimes, the placement of the perfect prop can draw your eye to the dish. Play with a hand holding the food, or grabbing a fork to dig in. The most important tip- is to have fun on shoot. Play with the shots, and change the scene often. Food photography is about life, color, and showcasing the food. If something’s not working, change it up. 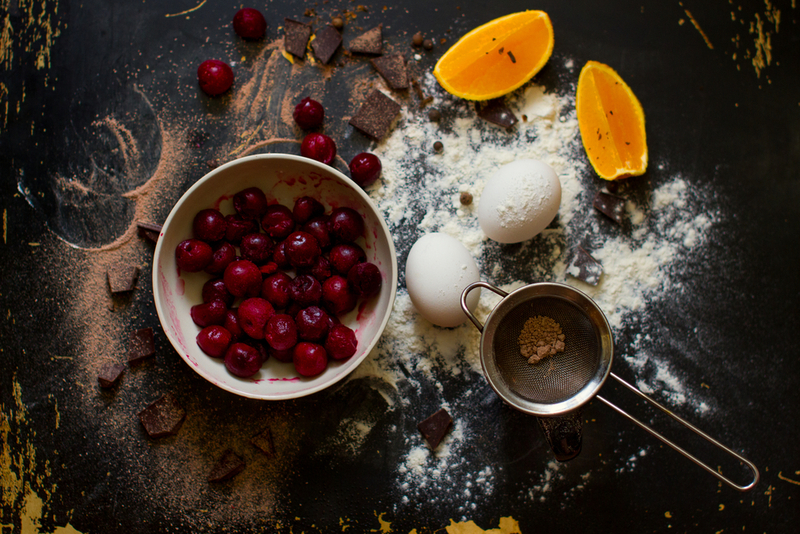 We hope these tips help you succeed on your next Shutterstock Custom food assignment. Have any tips you’d like to share? Comment them below! We’d love to share them with our network. join the Shutterstock Custom Contributor Community!